Thermal expansion of the ocean combined with the melting of ice sheets is causing a slow but alarming rise in the global sea level that is projected to cause widespread flooding of low-lying islands and coastal cities later in the century. Increasing sea levels result in much larger storm surges. Millions of people and trillions of dollars of infrastructure are at risk. 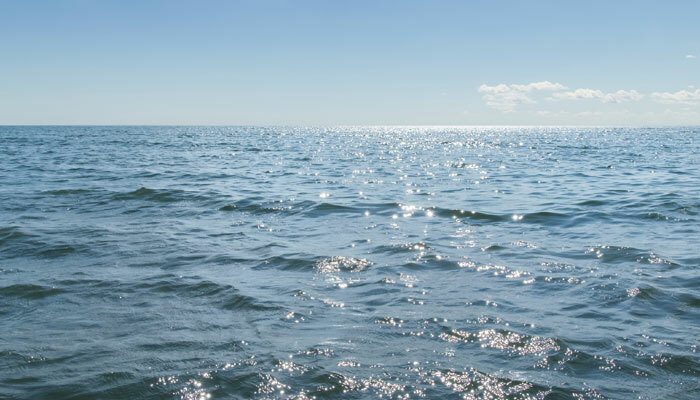 Increases in freshwater and coastal seawater temperatures are likely to increase the risk of exposure to waterborne pathogens and toxic algae blooms. Heavy precipitation from extreme weather events will increase flooding and storm surges that can contaminate drinking water sources. Water and plumbing infrastructure is at risk of failure, contributing to the risk of exposure to chemicals and water-related pathogens.